Last chance to secure fully funded places on our upcoming SVQ Level 3 and 4 programmes! To ensure your team does not miss out contact Andy today: andy@esteem.uk.com – 07766 658 083. Spaces are going quick. 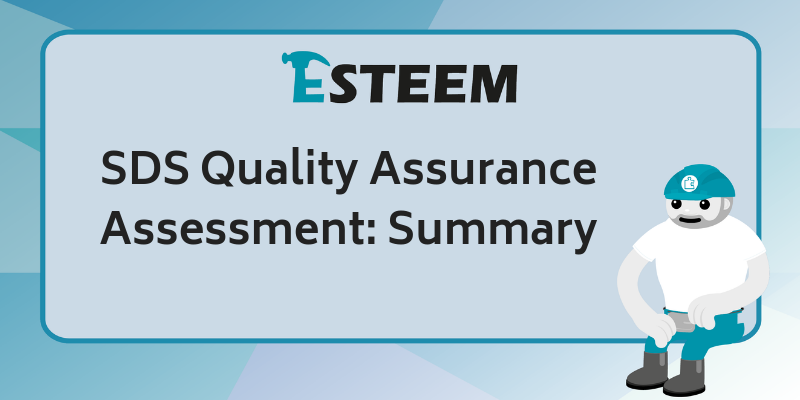 Recently, Skills Development Scotland (SDS) carried out their Quality Assurance Assessment. This was a 4-day audit which involved SDS observing our unique workshop delivery process. Candidates and their employers were also interviewed. 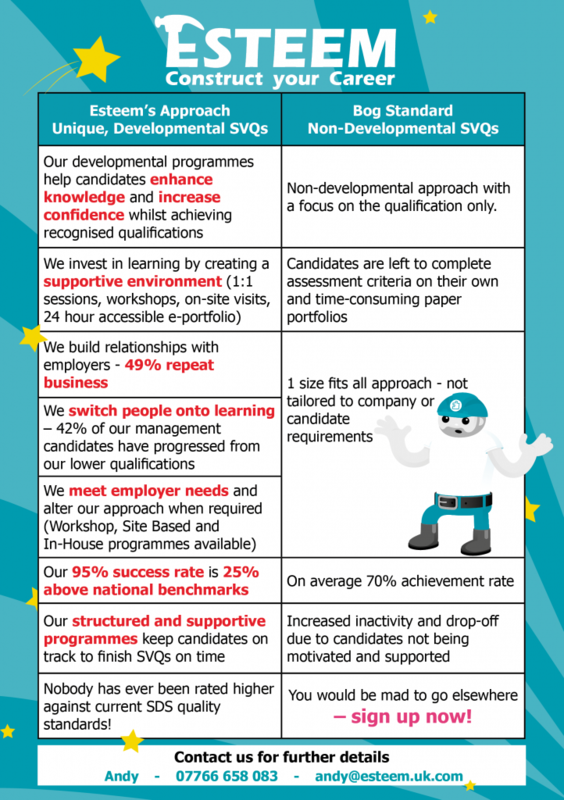 The Esteem team was thrilled to receive such positive feedback and as a result we were awarded additional fully funded places on our upcoming Construction SVQ Level 3 and 4 programmes. To celebrate our fantastic audit, we have been sharing different parts of the report with you over the past month. If you missed this but would like to know more click here and let us know what you think! Our approach to SVQs is unique. All of our programmes consist of developmental workshops, one to one sessions with an assessor and an on-site visit. This ensures candidates are supported and will complete their qualification on time! Overall, we invest in learning and ensure our programmes are both simple and enjoyable. We want all of our candidates to gain a recognised Construction qualification, CSCS Card and to build confidence and knowledge within their role. We were thrilled that SDS picked up on this in numerous ways! To secure your team a fully funded place on our upcoming programmes please contact Andy today on 07766 658083 – andy@esteem.uk.com. First come first served!